Cappadocia was one of the most picturesque places I’ve been to so far – and while it also has a lot more to offer – like very interesting and rich history, Turkish food or the many traditions they live, I will mainly talk about the best spots for Cappadocia photos today. 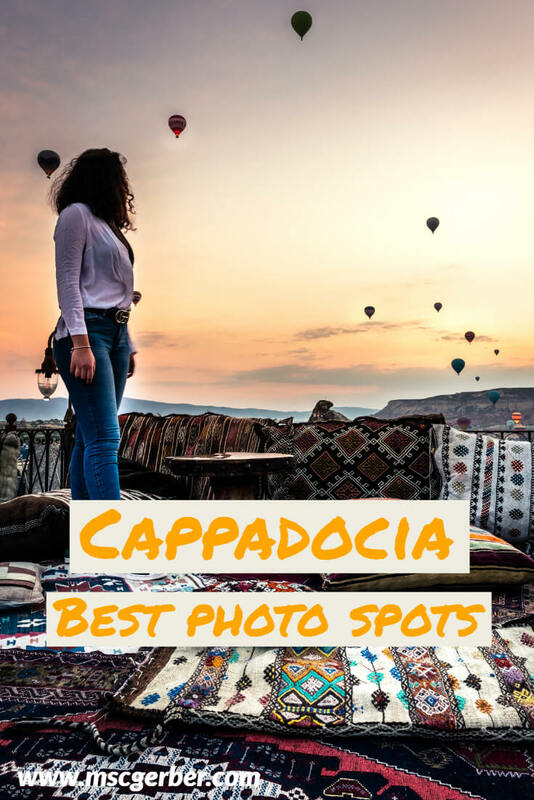 If you’re planning a trip to Cappadocia and want to know the best places to capture special moments; this Cappadocia Photography guide is a perfect fit for you. To look at the many different opportunities in and around Göreme from different angles I invited some fellow bloggers to submit their favorite photography location in Cappadocia. Check out my Cappadocia Travel Guide with 21 things to do if you’re looking for more information. The Red Valley is simply an amazing spot for every photographer going to Cappadocia. While it is easily reachable by car (there is a parking spot – you need to pay a small fee though) it offers one of the best views in whole Cappadocia. To me, it is even the best spot for Cappadocia photos, as it combines the almost weird looking rock formations with an incredible mood, especially during sunrise or sunset. It is also possible to hike through the valley, which will bring you to even better and more unique photo spots in Göreme. 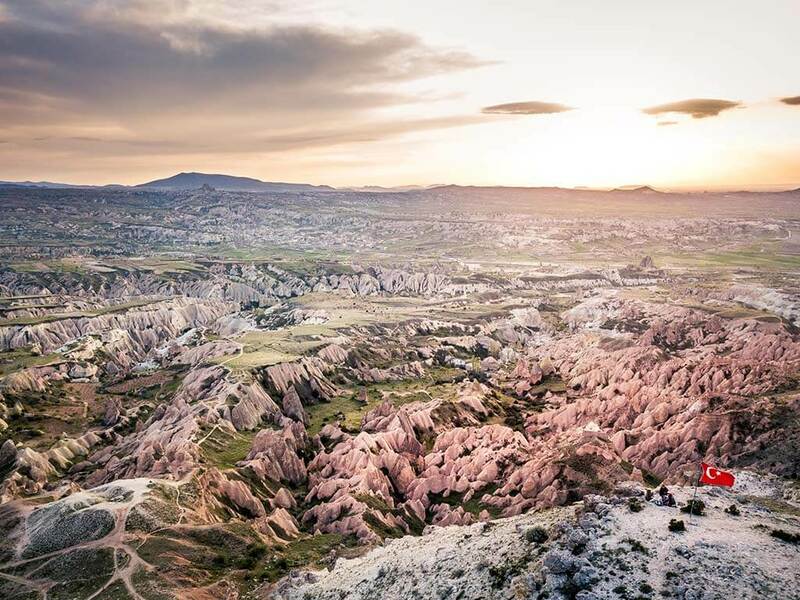 Definitely a must-visit place for every photographer in Cappadocia. If you have a drone you can get even crazier shots from the air. Named for the many pigeon houses carved into the rock walls and cliffs Cappadocia’s Pigeon Valley is truly a sight to see. Steep rock walls fall into a green-carpeted valley and the many trails available make it easy to explore. One of the longest valleys in Cappadocia it’s accessed from Uçhısar (the huge fortress on Goreme’s skyline). As a photographer Pigeon valley is a special place because it’s one of the few valleys in Cappadocia that align well with both the rising and setting sun, we all love golden hour, right? Top that off with the fact that due to the winds and the valleys width it’s almost always flown through by the daily hot air balloon flights and you’ve got yourself a winner! I suggest getting up well before dawn, and taking a scooter out to Uçhısar, from there turn down any of the gravel roads you see leading to the edge of the valley. A little exploration and scouting will have you with an epic composition just waiting on the balloons at sunrise. Many people who visit Cappadocia pay a visit to Uçhisar Castle, the fortress looking rock that towers over the town of Goreme. If you decide to head up for a look make sure you stop at Paradise Valley – it’s full of intricate twisting fairy towers that dot the steep slopes below Uçhisar Castle. Many tourists make a stop on the side of the road at Paradise Valley where Turkish men are offering pictures with camels, but if you really want an adventure hike up into the valley where you’ll be surrounded by the massive rock pillars. There is a web of footpaths that weave throughout the valley so choose any trail that looks interesting. While all of Cappadocia is a photographer’s dream we found Paradise Valley to be particularly stunning and easily accessible – which makes it a hidden gem for Cappadocia Photography. Once you’re done with your photo safari head on up the mountain and climb Uçhisar Castle for an amazing sunset view looking out over Goreme and all of Cappadocia! Taking a hot-air balloon offers excellent views. Hands down, the best spot for photography in Cappadocia is from inside of a hot air balloon as it floats above the fairy chimneys that dot the region. I reluctantly agreed to do the hot air balloons during our visit to Turkey. To be honest, I wasn’t really looking forward to it. I’m not a fan of heights and at 120 euro per person, it seemed like a lot of money to do something I wasn’t all that excited about. I was wrong. Hot Air Ballooning in Cappadocia turned out to be the highlight of my time in Turkey. We woke before sunrise to arrive and find the pilots assembling the balloons. When the balloons were nearly inflated assistants helped us into the large baskets. We quickly began rising above, the pilot expertly navigating us above the stunning scenery, pointing out landmarks as we went. Finally, the sun rose over the horizon, affording us some incredible photo opportunities. 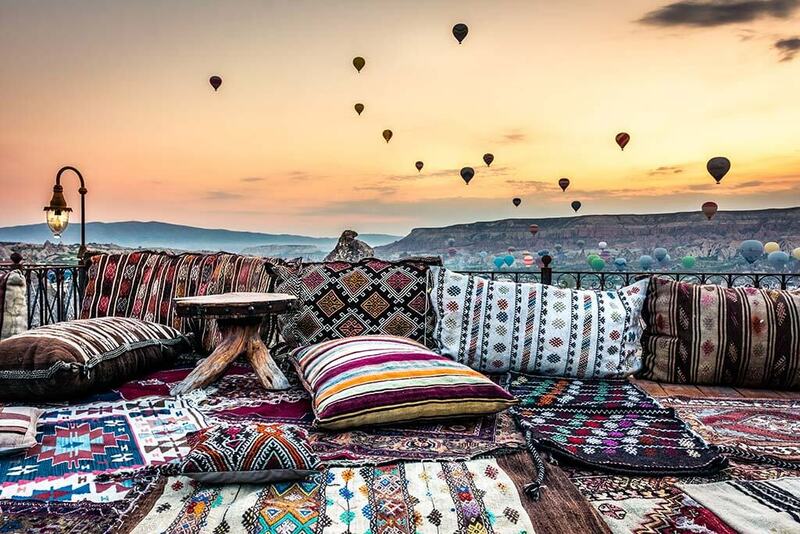 The best Cappadocia Photography spot should be from a hotel? Yes, you heard right! 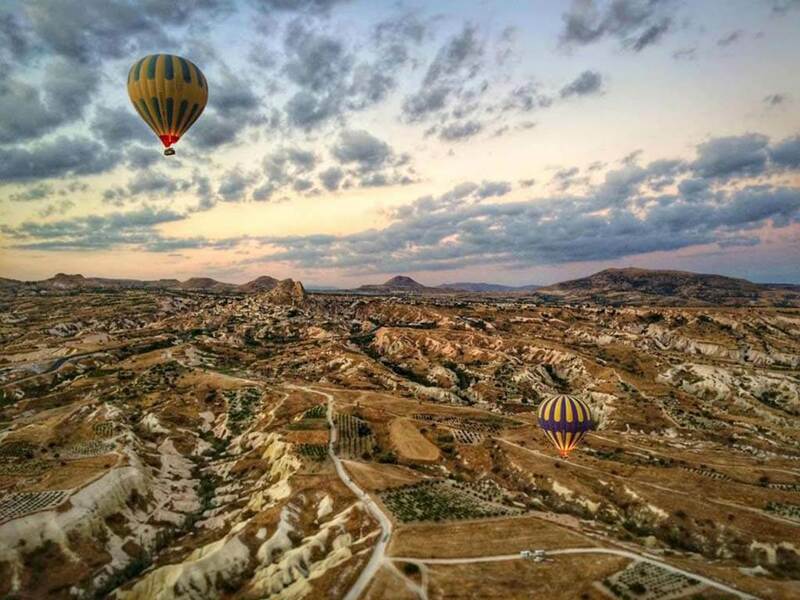 The balcony of the Koza Cave Hotel offers some of the best views over whole Göreme – especially during sunrise, as it is located between the starting Hot-Air Balloons and on top of a hill. While staying there during sunrise you almost feel like you can touch the Balloons, and the already beautiful scenery just looks even better. Of course there are many amazing hotels in Cappadocia, however, if you want to take the best Cappadocia photos, the Koza Cave Hotel is the place to be! Cappadocia is one of those places in the world where you don’t really have to look for the photo spots – they are everywhere around you. And while you can make astonishing photos of the cave hotels or the sunrise hot-air balloons, no pictures will get more questions or laughs than the Love Valley ones. Now you may think, the valley earned its name due to some romantic Romeo and Juliet type of story, but the truth is, it’s named the Love Valley due to being home to rock structures that bear a passing resemblance with…well you can check the photo and decide for yourself. Some of them up to 40 meters long, the pillars are millions of years old, and their peculiar shape is due to earth and wind erosion that left only the hardest parts behind (pun intended). The valley is on a walkable distance from the village of Goreme, but I recommend taking an ATV sunset tour and enjoy the pillars bathed in golden sunset light. The imaginary valley was a big surprise for me: It is mainly famous for some weird/crazy (however you want to call it) looking rock formations – looking like a camel, Napoleon Bonaparte, a hand or everything else that your mind could possibly think of. Yet, when I arrived there I was positively surprised by the Imaginary Valley – as it offers a huge variety of interesting rocks and if you take a stop at the viewpoint above it, stunning views over the whole valley. 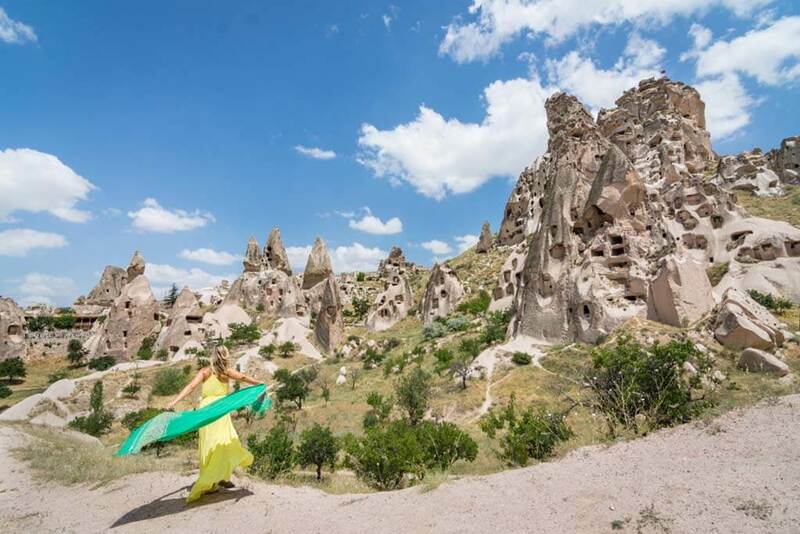 Most tourists honestly just stop there to take a selfie with the famous camel rock – however, you can walk inside the valley and explore various interesting places – a perfect opportunity to take some incredible Göreme photos.